We feel the excitement building as April 16th approaches and families can finally register for the 2018 NDSC Annual Convention. We also know there is eagerness to make hotel reservations. As was the case last year, convention registration is required before families can reserve their rooms. We strongly recommend reading over this registration tips sheet NOW, so that on April 16th you are informed and prepared to complete your family’s registration. We also encourage you to watch this online tutorial about the registration process. At this time, rooms at the NDSC Convention rate at all three contracted hotels are sold out for most nights of the convention. While there is no guarantee rooms will open up, the NDSC is managing a waitlist to assist families attending the convention in securing a reservation. Again, we cannot guarantee a room meeting your needs will become available; however, when and if a cancellation occurs we will notify you in the order in which your application has been received. Traditionally, cancellations have occurred in late June or early July, so your patience is appreciated. As a reminder, only families registered for the convention are able to reserve a room at the convention rate. If you would like to register for the waitlist, please click here. Talent Agent, Gail Williamson and Producer, Brian Donovan will be in Sacramento presenting on what it takes to break into the entertainment industry. Come hear first-hand from industry professionals on how to best advocate for your future movie star, singer, songwriter, film producer, etc. This pre-conference requires a separate registration and is open to parents, siblings, grandparents and self-advocates. Click here for more details on this and our other pre-conference offerings. Looking for a way to spotlight your child with DS or advertise your product? The Souvenir Journal reaches every attendee, exhibitor, and sponsor participating in the convention and is a perfect opportunity to send a message. Messages may provide information, recognition, good wishes or may memorialize an individual. Messages start at just $75. Click here for the application. Did you know the NDSC is hosting its 2nd annual Educator Conference? 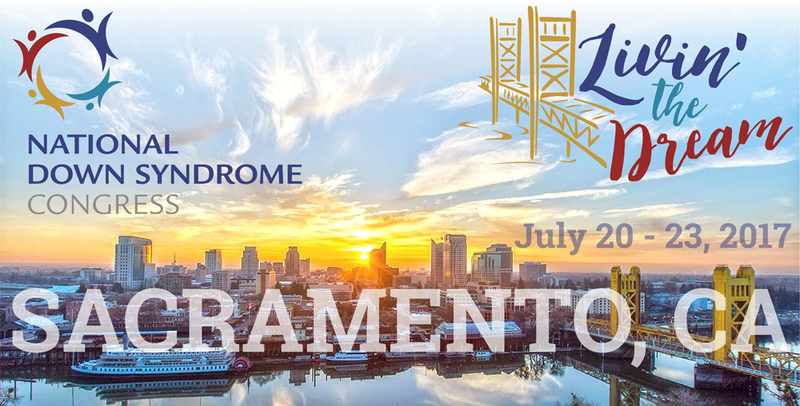 On Friday, July 21 from 8:45 am to 4:15 PM at the Sacramento Convention Center, teachers, paraprofessionals and administrators working with students with Down syndrome will have the opportunity to participate in this full day experience. Experts on behavior, technology, literacy and modifications and accommodations will provide attendees with proven strategies and research-based content. CEU’s and lunch will be provided. Click here for more details on the speakers and topics or to register. Parents, please help us spread the word by passing this on to your child’s teachers and administrators! If you haven’t registered yet or have started a registration but haven’t paid, there is still time to take advantage of best value pricing. Click here to register now. Or, if you have completed your registration but want to add a pre-con, sapphire celebration tickets, t-shirts, recordings, etc., please call the NDSC office from 9 AM to 5 PM Eastern, and they will be happy to assist you at (800) 232-NDSC. REGISTRATION WILL OPEN AT 12 NOON EASTERN (9 AM PACIFIC)! Registration for the 2017 NDSC Convention in Sacramento, CA is about to open AND it’s MOBILE ready! So pull out those smartphones and tablets and get ready to “Live the Dream” with the NDSC in Sacramento this July. If you didn’t have a chance before now, you should review our ‘Please Read Before You Register’ post first. For those of you who have attended the convention before, you’ll log in to your account and get started. Forgot your user id or password? No problem, just follow the prompts from the login screen to have that sent to you. If you have not registered before, you’ll need to create an account before getting started. Online registration has never been more easy or convenient, click here to get started! Be sure to check out the NEW Convention Schedule before you make your travel plans. Convention programming will begin late Thursday afternoon and conclude at noon on Sunday. Trust us, you won’t want to miss anything by arriving late or leaving early. PRE-CONS, EXHIBIT FLOOR, & SAPPHIRE CELEBRATION…OH MY! For seasoned NDSC attendees, these convention programs are old hat…or are they? Make sure to check out our website for the full pre-conference session lineup before you register. With 9 amazing sessions to choose from, you can’t go wrong. The topics might be familiar but each speaker is new to the NDSC pre-con lineup this year. The NDSC Exhibit Floor will also have a few new features like cash concessions for lunch and dinner, a free welcome reception for all attendees on Thursday night, and new and improved exhibit hours. Finally, the traditional awards banquet will be replaced by the 45th anniversary Sapphire Celebration. This is a ticketed event and is expected to sell-out, so don’t miss the chance to be a part of a very special anniversary celebration featuring live performances, music, and of course, dancing! Make sure your confirmation screen has all of the registrants, conferences, and options you selected during registration before you check out. Once your registration has been paid you will not be able to go back to add family members, pre-cons, sapphire celebration tickets, t-shirts, etc. If you do find that you need to make adjustments, you will need to call the NDSC center. We will be experiencing high call volumes this week. If you don’t get through, please leave a voicemail and we will respond in the order which calls are received. The NDSC has a block of rooms reserved for convention attendees at the Residence Inn, the Sheraton Grande, and the Hyatt Regency. All three properties are within walking distance to the Sacramento Convention Center. Click here to see which hotel is best for your family. Keep in mind, before you can reserve your room, you must register for the convention. Your convention registration ID will be required when booking. Rooms are available on a first-come, first-served basis and won’t last long. 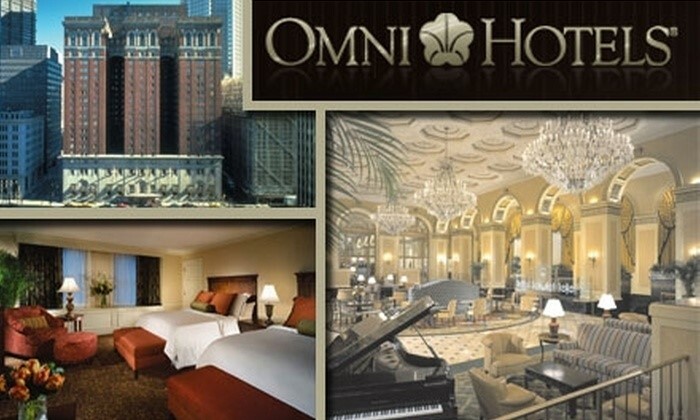 Attendees may book one room per convention registration. 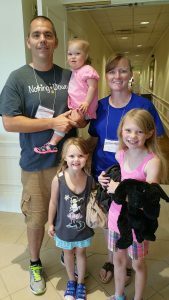 Families needing more than one room must have multiple registrations completed. The Souvenir Journal is the official program for the convention weekend. Placing a message in the program is a great way to support the NDSC, advertise your business or just brag about yourself. Messages start at just $75. Premium spaces are available this year, click here for more details. Please Read Before You Register – Registration Opens on April 10! We feel the excitement building as April 10th approaches and families can finally register for the 2017 NDSC Annual Convention! We also know families are anxious to make hotel reservations. As was the case last year, convention registration is required before families can reserve their rooms. We strongly recommend reading over the following information NOW, so that on April 10th you are informed and prepared to complete your family’s registration. First – do you have your username (account holder email) and password handy from last year to login into the registration system? If you are a first-time attendee, you’ll need to create an account before you get started. You might also want to watch this online tutorial about the registration process. The system has been made “mobile-ready” this year, so you can register from your tablet or smartphone, as well as a computer. Next – Once you are logged into the system, you can begin registering each member of your family for whichever program they are attending. Remember you will have to “add a person” for EACH person you are registering. It’s best to start with anyone who is attending the general convention. This means anyone in your immediate family wanting to attend workshops, receptions, sharing sessions, exhibitors and the film festival too! After you get each person registered for the general convention, you’ll want to consider selecting a pre-conference session to attend. These sessions are an additional fee and have to be pre-selected when you register. Pre-conferences are amazing opportunities to dive deeper into one topic presented by world-renowned experts. Once you have all of the general convention attendees registered and pre-cons selected, you can move on to the other conferences: Youth & Adults, Brothers & Sisters and Kids’ Camp. The Youth & Adults Conference is for self-advocates with Down syndrome, ages 15 and up. In order to provide appropriate support for those attending, there are a number of questions that need to be answered during registration. You will also be asked to select your self-advocate’s programming choice for Sunday. Sunday is the always-popular talent show; however, there are specialized workshops offered during that time for those who prefer not to watch the show or participate in it. We strongly recommend discussing these choices with your self-advocate before you register. Click here for the list of questions asked during registration as well as the Sunday programming options. If your self-advocate is bringing a volunteer to support them throughout the conference weekend, make sure that volunteer registers as a 3-day Y&A volunteer and indicates the self-advocate they are supporting. The Brothers & Sisters Conference is for rising 4th grade thru 12th grade siblings. The conference is led by college-aged siblings and provides a variety of activities and learning throughout the weekend. Programming for this conference will take place at the Hyatt Regency Hotel. Siblings will go off-site on Sunday to a Sacramento-area attraction. You’ll need to know your child’s t-shirt size when registering. Kids’ Camp was created for children 6 months to 10 years without DS and up to 14 years with DS. It is broken into 5 separate sessions. You must select and register for each session you want for each child. Some families like to review the workshop schedule prior to selecting Kids’ Camp sessions (keep in mind, this schedule is subject to change). We recommend reviewing the Kids’ Camp FAQ’s and other information about this program. You’ll also need to provide your child’s t-shirt size when registering. Now that you have your whole family registered for one conference or another. You’ll want to consider some the following convention options. You can read more in-depth on “all things convention” on our website! Thank you for your interest in our giant family reunion, we look forward to seeing you in July! My name is Macy Johnson. I’m a 40-year-old stay-at-home mom. My husband, Mark, is also 40 and is currently a Master Sergeant in the U.S. Air Force. We have three beautiful little girls. Kaylee (9), Kelsey (4), and Kenzie (2). Kenzie has Down syndrome. We love to spend time outdoors playing together and taking care of our rabbits, chickens, and a small garden. Kenzie’s favorite things to do are swing with her sisters and pet the bunnies! Kenzie is pretty much like any other 2-year-old. She’s sweet, smart, and silly. She loves for us to sing songs and read books to her. Pulling her sisters’ hair and stealing their Barbie dolls is always fun for her, and ice cream is her favorite snack. Kenzie has changed my perspective and how I look at Down syndrome, and I hope by sharing her story, I can positively influence others as well. It’s also helped me realize what’s truly important in life: family, friends, health, and happiness. Oh, and ice cream! Kenzie won’t let us forget about ice cream! I first heard about the National Down Syndrome Congress through a Google search I did after we first received Kenzie’s diagnosis. I admit I Googled a lot more back then than I should have, but I’m so thankful I found the NDSC website. There’s a wealth of information, no matter what stage you’re at on your journey, but it’s especially great for new parents. There I learned about the annual NDSC Convention. 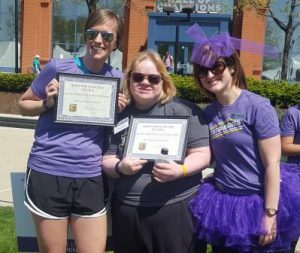 One of our local support groups, the Middle Georgia Down Syndrome Society, gave our family (along with 5 other families!) a scholarship to help us attend this year’s convention in Orlando. My husband and our three daughters were also able to attend; it was our very first time at the convention! What surprised me the most about the NDSC Convention was the amount of workshops available to attendees. There were so many different sessions on topics ranging from babies all the way through adulthood. NDSC did a great job organizing so many different sessions into such a short amount of time. I o nly wish I could have attended more! What was no surprise at all was how nice and welcoming everyone was at the convention. Everywhere we went there were smiles, hellos and hugs. I had lots of favorite moments, but the best for me was seeing the self-advocates speak at the plenary sessions. Whether they were introducing another guest speaker or sharing their story, I was really proud and inspired by all of them. We are looking forward to next year’s convention in Sacramento and we hope to attend. I can’t wait to reunite with friends I met this year, meet new ones, and attend new workshops. The chance to visit California is an added bonus! If you have the chance to attend, by all means get there! 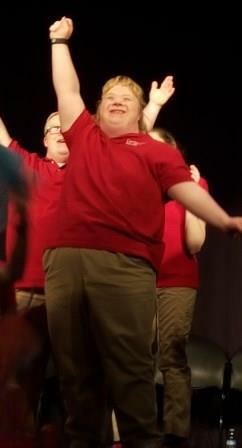 Our experience this year was the most memorable Down syndrome related event we’ve ever attended. It was informative, fun and inspiring! NDSC has given us the chance to grow and learn so we can be the best parents we can be for all of our daughters. I hope this year’s convention is only the beginning of many more convention trips for our family. My husband and I will soon be starting our own nonprofit organization, Kenzie’s Chromosome Crusaders. We will be providing families who’ve been given a diagnosis of Down syndrome with information packets and gift baskets at the time of birth. We are happy to help any family find the information they need or make local connections for support. We hope to inspire and encourage others as they begin their journey with Down syndrome. You can follow us on Facebook at Kenzie’s Chromosome Crusaders. Larry and Karen Kaser welcomed their daughter Kelly to the world in May of 1984. It was shortly thereafter, a family friend introduced them to NDSC. It wasn’t long before Larry and Karen were involved in helping to form their local Down syndrome support group, The Down Syndrome Support Association of Central Indiana, and later, the Dallas Guild in 1985. “Prior to the internet, Larry and I relied on our local parent group, the NDSC office, and the convention as our sources of information in raising Kelly,” shared Karen. There is so much to look forward to at the convention, not only for the parents, but the self-advocates too. 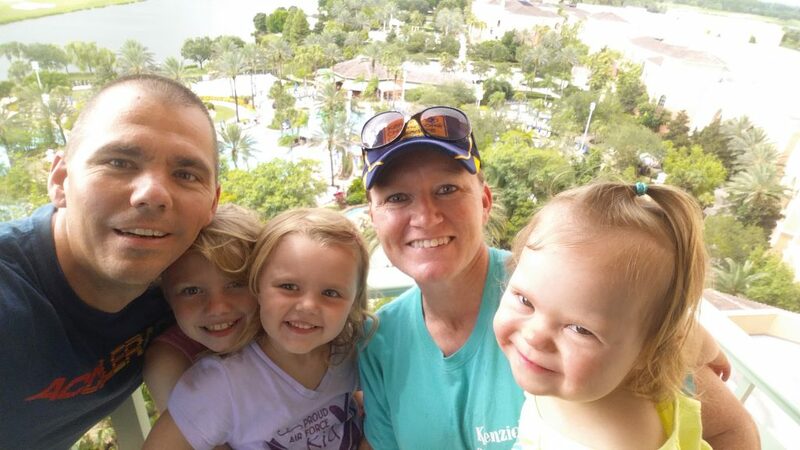 “Kelly looks forward every year to attending the Youth and Adult program, including workshops, dancing, meeting friends, socializing, and of course, the talent show!” For Larry and Karen, they also look at the convention as a way to share their journey with new parents. “We enjoy sharing information about Kelly’s life and learning about other families’ life experiences too. Larry and I feel we are never too old to learn something new,” said Karen. Now 32, Kelly is “a very caring young lady who enjoys making new friends and sharing with her community.” Kelly loves spending time with her family and friends. She currently works as a hostess at Scotty’s Brewhouse, after spending 10 years with Starbucks. When she is not working, Kelly enjoys volunteering in her community, karaoke, athletics (cycling, yoga, muscle up, Zumba, and cardio dance), bowling and flowriding. She also participates in a performance group called the Roundabout Playback Troupe and attends events at the White River Christian Church and Easter Seals Crossroads. “Kelly loves seeing old friends and making new ones,” shared Karen and Larry. Don’t worry if you aren’t attending this year’s convention in Orlando. There’s always another one next year! We hope to see you soon at one of our Giant Family Reunions!